Brown was appointed to the newly created role in September, reporting directly to CEO, Craig Tiley. She previously spent seven years with JWT as director of digital APAC and has built her career in digital marketing and transformation agency and client-side, working for the likes of Procter & Gamble, Sputnik Agency and Lufthansa. What’s clearly changed along the way is this focus on branding and technology, Brown tells CMO, who adds she was inspired by the pace of change in places across Asia such as China. Coming into Tennis Australia, she says she’s impressed by how future focused the organisation is off the back of the certainty that it will be hosting a grand slam for decades to come. “Tennis is a sport that’s been part of the cultural fabric of Australia and that is something that will be invested in for decades to come,” she comments. “It is an organisation constantly talking about the future and innovation with a long horizon. It gives you a real perspective to look at how are the consumer needs going to be addressed by tech in that time; what do we need to invest in now that’s going to impact in three years’ time. Tennis Australia (TA) has been experiencing significant growth in recent years, driven by expansion of the Australian Open and a $972 million investment into its Melbourne Park home. This has seen the organisation changing, Brown says. And it’s what led to the creation of the chief marketing and insights role, incorporating data and insights, brand, customer experience and content and creative services functions. “The board and our CEO were very aware that from a digital and data perspective, there was an appetite to move faster,” she says. “To combine storytelling with data, brand with CX, and to have it working genuinely in an integrated way, is the opportunity I have been given. It’s so exciting being able to build that team, and working with an exec that’s really entrepreneurial and wants to pursue growth makes it a really great time to be in an organisation like this. Tennis Australia always had data at its fingertips, and the analysis of player data for performance as well as entertainment for fans has long been a significant focus. But it’s never been centralised in a way that supplies a centralised insights engine, Brown says. “To start the plan for the next three years, my plan is to build that insights engine for Tennis Australia,” she says. To help, TA has hired a new head of data and insights, and Brown has also been looking at who within the organisation has the right capability to support that. 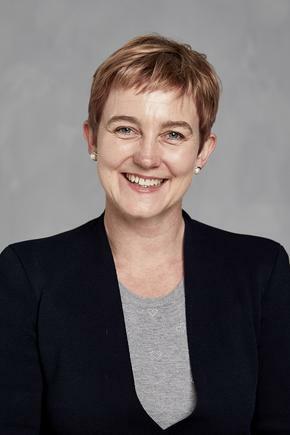 “Research for example, was undertaken by certain parts of the organisation; we’re now going to try and get visibility across all sources of research and ensure we have one central source of truth to help the business,” she says. In this vein, TA has just kicked off a project to enable teams to sharpen discipline around human-centred design. To do this, Brown and the team are pairing this approach with its wealth of research about people playing tennis in Australia. “We have been talking to people who’ve played tennis for decades. When you apply the growth mindset, we’re now looking also at who doesn’t play tennis, and what are the needs and behaviours we could tap into in order to make tennis the sport of choice for that individual,” she explains. “Human-centred design [HCD] is the right methodology to listen to consumer need and behaviours then apply it to what you’re going to make. It’s a vehicle we can use to work a bit differently. The overarching ambition is getting more people to play and watch tennis. “That means coming to our events, reading our content digitally, and so on. And those two are interlinked,” Brown says. A new CX design manager has been appointed to spearhead what HCD looks like at Tennis Australia, and Brown says the storytelling piece will be a core component as well. “It’s about how we flesh out what the tennis brand is, the experience of the AO and consequently how we tell stories that are entertaining and are going to be heard,” she says. Any project like HCD requires cross-functional collaboration, and teams from tennis participation team to technology delivery are coming together as a result. “One thing I have learnt over the years is if you want to change and drive technology enhancement, you need to bring an integrated team together in order to gain that perspective,” Brown says. Another aspect constantly evolving is the skillsets required across the traditional marketing function. “In an era of content, you need to have the discipline of marketing, you need to be an entertainer, and you need to move like a tech startup. Those are the strands of our way of working,” Brown continues. There’s no doubt the nirvana is being able to unify a single customer view with that creativity capability to tell stories that are incredibly personalised, Brown says. “We’re still a few years from that nirvana. But when you understand what your brands stand for, what you’re trying to grow towards and the needs and behaviours of those consumers, you can start to build up that personalised communication strategy,” she says. 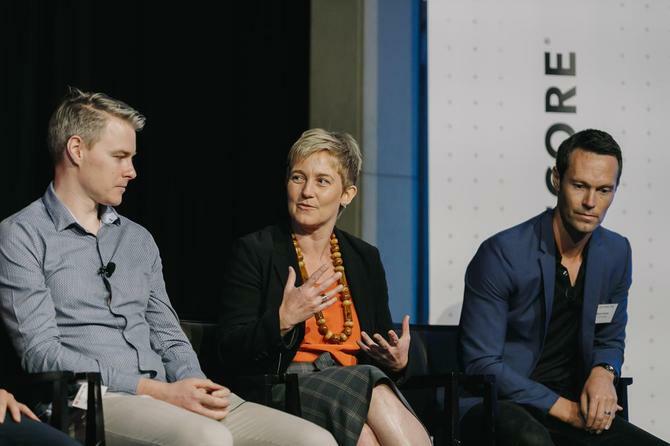 In addition, Brown is hoping the human-centred design project will help redefine what the right technology solutions are for Tennis Australia to achieve its growth ambitions. One way she’s keen to see technology utilised is by connecting people wanting to play tennis to the right club or coach. In terms of insights Brown is looking to glean, meanwhile, are a better understanding of what the barriers that stop anyone playing tennis are and how to open those back up again. “I’m also keen to understand if we’re talking to the right people about the Australian Open. Are the people we’d like to come to the event that aren’t coming hearing what’s great about it for them? What are their needs and behaviours – almost revisiting our segmentation approach,” she says. Having just been through her first Australian Open in January, Brown is developing a number of further initiatives on how to improve the holistic customer engagement strategy around the annual grand slam tournament. New elements included in 2019 included patron, player and workforce research using that HCD mindset. “We have always done research studies, but this year it was engaging a bigger team to do a lot of observing and formally document that,” Brown says. Another fresh aspect in 2019 was a new kids’ zone with ballpark, tennis and activities. As a result, the site came into its own in terms of having distinct zones, Brown says. Helping Brown in this quest is what she calls diversity and equality within the executive team, a culture of collaboration and a healthy respect for what each discipline brings to the table. “We have diversity with four women on the exec, and in terms of the culture, how we meet and collaborate, I feel I have been welcomed in,” she says. “I also started at the same time as our new chief tennis officer, who’s looking at the performance of and participation in tennis. There’s a strong dynamic in the executive and I feel we all have an equal voice. Brown says TA’s CEO has also provided “amazing clarity” around the mission to serve customers, from the players to the patrons. To measure success, Brown is pushing hard on what scorecards the team should use to change the organisation and show growth. “Ultimately, that has to come back to if more people are playing tennis, or watching our events, or coming along, and are people enjoying that,” she says. Through all of this, she stresses the importance of agencies as partners to what TA is trying to do. “I’m conscious now of the role agencies can play and appreciate it so much more,” she says. “We just engaged Clemenger BBDO to work with us on the tennis brand, so they’re helping us with a review of the identity of the sport. We have also been working with Avanade [formerly Loud & Clear] on the AO website.